I am glad to have Premier League matches back again this weekend and giving me something to do with my FPL teams. For this week’s tips I will be turning to some of the in-form players over the past few matches. There is a small matter that a week and a half break from Premier League matches has meant that teams that had been building up momentum have had that broken up and must rebuild. For some players the international “break” meant that they continued to play matches and includes playing in two matches for some players. This could be considered a good thing for some players who did well and did not need to travel quite so far as others. Either way there are going to be effects for fantasy Premier League teams. I would say there are some concerns for some of the players who had long trips, particularly for some of the South and Central American players. On the other side are those players who were able to continue to train with the team and really did get a bit of a break. This could be a refreshing time for players on both sides of this. Some of the key players who did do well in their internationals include Olivier Giroud, Harry Kane, Wayne Rooney, Alexis Sanchez, Aaron Ramsey, and even Graziano Pelle. For this weekend’s fantasy Premier League tips these are four of the hot players to consider picking up. I would say that Pelle has certainly dropped in form over the past few months and he is a risky pick. I haven’t rated him highly this week and didn’t include him in my fantasy Premier League player rankings and would probably put Shane Long above him in my rankings, but he could be good value at this point. In my Premier League predictions for the week I have picked goals in every match of the weekend. There are a few FPL matchups that defensive options are viable, but I would recommend sticking to full backs to provide you defensive points this weekend. Another reminder to keep in mind is that both Aston Villa and Queens Park Rangers have double match weekends and both matches will count in the official game. This could be a very good weekend for a return of Charlie Austin. With QPR facing West Brom and Aston Villa there is a very good chance that he will get on the score sheet in at least one match in gameweek 31. Some of the best offensive options include Manchester United, Manchester City, Chelsea, Tottenham, Arsenal and Liverpool. If you want to take more of a risk West Ham United could be good value. There are plenty of players on West Ham that should be playing to look for a move away from the club including the likes of Enner Valencia or Diafra Sakho. With the Hammers taking on bottom of the table Leicester City they stand an excellent chance of getting goals and I would also expect Steward Downing to be in among them. There are quite a lot of matches this weekend that are very tricky. The way that Chelsea and Man C have been playing lately mean that they aren’t exactly nailed on for wins despite facing opposition that they should beat easily enough. Swansea City v Hull City comes with its own set of difficulties. The Swans have hit that end of season lull where they realize they have little to play for. It is something that has hit them this time every season they have been in the Premier League. They also face off against a desperate Hull City which might be a good place to pick up some cheap offensive options as I don’t see this one being a clean sheet for either team. If you are looking for a real risk look no further than Sunderland v Newcastle United. This match is perhaps the most unpredictable in the EPL which makes it all the more difficult for FPL managers. Still, I am expecting goals to be scored and offensive options here like Ayoze or Larsson could be decent choices. As always I am looking forward to this weekend and seeing what it might bring for my fantasy Premier League team. 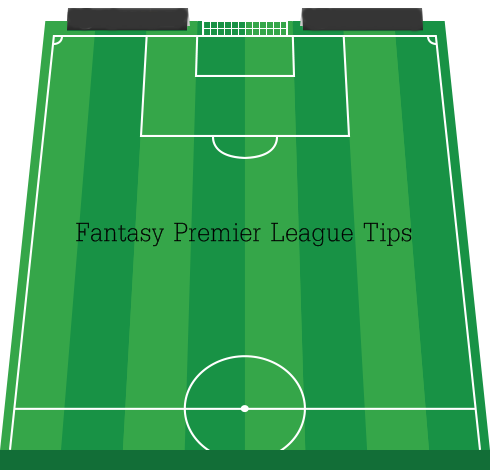 Hopefully some of these tips aid you in determining your choices whether you play the official game or other fantasy games like Mondogoal, Draft Kings, or Togga.